Professor Maohai Huang obtained his Ph.D. in astrophysics on interstellar medium. As a Leading Professor at the National Astronomical Observatories, CAS, his main scientific interests are in interstellar medium, especially properties in photodissociation regions (PDRs) and HII regions. He combines numeric modelling with ground- and space-based observations in his research. Prof. Huang is the working group coordinator of a collaboration effort for China to contribute to the World Space Observatory – Ultraviolet mission, leading to a prototype study of a Long Slit Spectrograph funded by CNSA. He is a key member of the study of Stellar & ISM Research via In-orbit Ultraviolet Spectroscopy (SIRIUS), an ESA-CAS small satellite mission, and is participating in several UV mission studies in China. 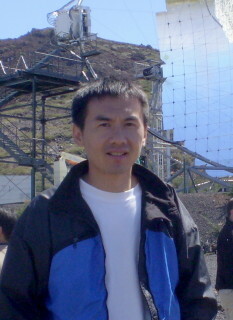 Prof. Huang is a member of COSPAR.